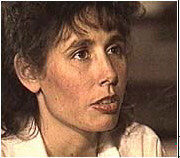 Karla Faye Tucker admitted that nearly 15 years ago, she helped murder two people, and she said that a few months later, she became a Christian. When she was declared dead at 6:45pm CST, Karla Faye Tucker became the first woman executed in Texas since Chipita Rodriguez was hanged in 1863 and the first in the United States since 1984. "Yes sir, I would like to say to all of you, the Thornton family and Jerry Dean's family that I am so sorry. I hope God will give you peace with this. Baby, I love you. Ron, give Peggy a hug for me. Everybody has been so good to me. I love all of you very much. I'm going to be face-to-face with Jesus now. Warden Baggett, thank all of you so much. You have been so good to me. I love all of you very much. I will see you all when you get there. I will wait for you." In the days before her execution, the Texas Court of Criminal Appeals denied her claim that the state's clemency process was unconstitutional on January 28. On February 2, the Texas Board of Pardons and Paroles rejected her bid for clemency. Finally, on February 3, the United States Supreme Court rejected two requests to halt the execution and Texas governor George W. Bush refused to grant a one-time 30-day reprieve. Here is the full text of the 150-plus page writ filed by attorneys David Botsford and George Secrest on her behalf. Tucker was convicted of killing Jerry Lynn Dean and Deborah Thornton. Her case received worldwide attention because of her conversion to Christianity and her gender. Evangelist and former presidential candidate Pat Robertson, a death penalty supporter, said, "This thing is vengeance. It makes no sense. This is not the same woman who committed those crimes." Appeals for clemency on her behalf also came from Pope John Paul II, Italian Prime Minister Romano Prodi, U.N. expert on summary and arbitrary executions Waly Bacre Ndiaye, the World Council of Churches, and even the brother of Deborah Thornton, Ron Carlson. She claimed she no longer posed a threat to society. "If there is a change for the positive, and it's proven, and it's factual, why can't that be considered" in her plea to be spared lethal injection.. Her husband, Dana Brown, is just one of many supporters convinced her conversion is genuine. He was doing prison ministry when he met her, and married her by proxy in 1995. Thornton's own brother, Ron Carlson, wanted her spared. Her supporter with perhaps the biggest marquee value is former presidential candidate Pat Robertson. Tucker said she wanted to live to minister to other prisoners who are as lost as she was. When she was very young, she said, her mother told her she could grow up to become anything. But her mother also gave her little guidance, and encouraged her to be a prostitute as a teen-ager. Her father, by then, wasn't on the scene. Tucker recalled using heroin for years before that. She dropped out of school. By the time of the murders, she was trying to impress a rough crowd. She said in one interview that it was "inevitable that something like that was going to happen in my life," given her circumstances. In the fall of 1983, she got a hold of a Bible after a prison ministry program, took it to her cell and began to read. She realize what she had done and said "I didn't know what I was reading and before I knew it, I was just -- I was in the middle of my floor on my knees and I was just asking God to forgive me." More than 14 years later, Tucker was clinging to that turn-about, as she stared February 3rd, 1998 in the face. She said "It's a blessing to be a part of it, and it's exciting to know that God has a plan for this." Here are excerpts from a lengthy letter Karla Faye Tucker recently sent to Texas Gov. George W. Bush and the Texas Board of Pardons and Paroles, to plead that her death sentence be commuted to life in prison. "I will not ask you to consider my gender as a factor in your decision. When we are talking about the crime I committed gender has no place as an issue. I come to you as a person, an individual ...."
"... I am in no way attempting to minimize the brutality of my crime. It obviously was very, very horrible and I do take full responsibility for what happened .... I will pay the price for what I did in any way our law demands it. But in our laws I know that we have commutation for death row inmates ...."
"A long time ago I tried to blame my mother for how I ended up. I tried to blame drugs. I tried to blame our society. I tried to blame everybody but myself. I no longer blame anyone for my actions." "It was in October, three months after I had been locked up, when a ministry came to the jail and I went to the services, that night accepting Jesus into my heart. When I did this, the full and overwhelming weight and reality of what I had done hit me. I realized for the first time that night what I had really done. I began crying that night for the first time in many years, and to this day, tears are a part of my life." "I feel the pain of that night, and I feel the pain that goes on every day with others because of what I did that night. I know the evil that was in me then, and I know that what took place that night was so horrible that only a monster could do it." "If you decide you must carry out this execution, do it based solely on the brutality and heinousness of my crime. But please don't do it based on me being a future threat to society ... I believe I am a positive contributor to our society and helping others." "I have purposed to do right for the last 14 years, not because I am in prison but because my God demands this of me. I know right from wrong and must do right." "I can't bring back the lives I took. But I can, if I am allowed, help save lives. That is the only real restitution I can give ...."